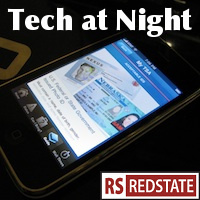 Tech at Night: Stop awarding trivial patents. Deregulation is the opposite of picking sides. Tech at Night: MPAA misses the facts on Google. Dish Network wins for innovation. Tech at Night: California Democrats don’t understand how the Intertubes work. Dropbox joins in on FISA transparency. Tech at Night on a Monday is always an odd thing. Weekends tend to be pretty slow, since much of what I cover is happening in government and industry, but Monday’s also when all that pent-up weekend stuff comes out. Monday’s also when things get announced, that people didn’t want to bury on a Friday. So Mondays are capable of being very busy posting days. But they’re also capable of being very slow. This is one of the latter Monday editions. Which is good for me since I’m very tired. The new lie being told is that deregulation amounts to help from the government. Talk about turning the truth on its head. Regulation these days picks winners and losers. Deregulation lets things alone! Take Patents. Patents exist to give an advantage to inventors, so that the nation as a whole will benefit from innovation. However in some industries, patents are being awarded too frequently and are harming innovation. A proposal I slammed in a recent edition would create more government. Other bills coming out would create more government processes to resolve patents. I said no, we need to issue less patents. Turns out industry hates the idea for another reason, that it would be an unpredictable mess. Here’s an idea: stop awarding so many trivial patents. Give USPTO a fixed budget not tied to the number of patents awarded. Sound like some more Anonymous cells are going to go to jail in a year or two.